71-year-old Frank Tippet died in hospital after he was seriously injured when a tractor lost control at a farm near Zelah. 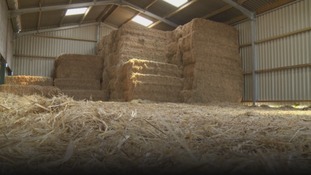 The poor winter weather has prompted a spike in demand for straw leading to expensive prices and worried farmers. Extra moisture in crops means farmers are forced to pay more to dry them.